Are you a traitor for not listening to 'your own' music? YOU'RE READING Are you a traitor for not listening to 'your own' music? Your identity doesn’t define what type of music you should and shouldn’t listen to. A recent feature on Channel24 reported how Bonang clapbacked hard at a troll who dared to criticise her choice of music and called her “westernised” because she played “European” music at her 31st birthday party. The tweet made me roll my eyes (and needless to say that social media had a field day with it), although it also didn’t surprise me because it’s not the first time I’ve seen someone basically telling someone that they should stay in their own lane and stick to music that reflects their culture. Bonang played European music in her party. I will mind my business because it wasnt my party. Like, I don't understand why people have so much invested in other people's personal choices, like, ungenaphi yena vele? SMH. But do you have to prescribe @bonang_m likes, tastes and preferences simply because she is an African celeb. So because she is a African celebrity she is not allowed to listen to music from different parts of the world ? Like bro ? The user who tweeted at Bonang not only made the assumption that Bonang doesn’t celebrate African music, but in the same breath basically said that she, as an individual, isn’t allowed to have personal preferences. My colleague, Carmen, and I were discussing music tastes and brought up the fact that this kind of judgmental criticism happens more often than not because people from different groups are often treated as a collective representation instead of individual people who consume and enjoy different things. Carmen is an old-soul junkie. She loves old music – from the Beatles, to MoTown, she has an appreciation for the kind of music that often have people thinking that she doesn’t love anything modern. I, on the other hand, enjoy symphonic metal (think Within Temptation) and old music that’s rooted in folklore and tells a story. For that I’ve been accused of wanting to be white – as if my identity is tied in with the choice of music I listen to, and as if I’m not able to enjoy other music when I’m currently listening to my specific preference at the time. Why is it that the term “coconut” is always thrown around the moment a person of colour enjoys something that’s considered white? And weirdly enough, Carmen and I have discovered that it’s often thrown around by fellow people of colour – like the mere thought of us enjoying something that’s been defined as “white consumption” means we’re traitors to our race. It can certainly be argued that there are core groups of people who fit into the category of preferring hip hop over pop, and R'n'B over, say, rock, but the social constructs that have always been around it are changing – the world is a diverse place and being told you can’t enjoy one thing because it’s simply not done, is restrictive and goes against the changing tide. 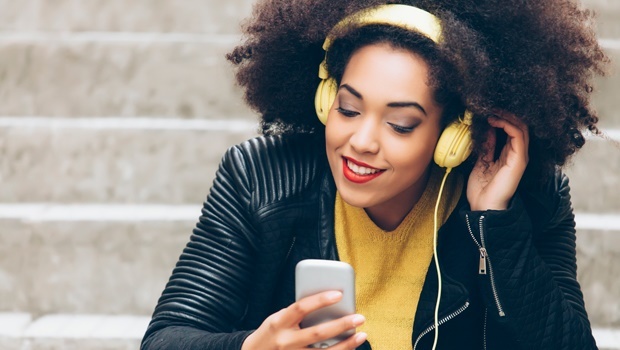 Music speaks a universal language – one that can be enjoyed by everyone in so many different ways (although, the one big rule is that if you’re a white person or non-black person of colour, you always keep quiet when black artists use the “N” word). Enjoying one song doesn’t mean that you cannot support another song or artist. It’s understandable that we want the world to recognise the tremendous talent on our continent, but to eschew “western” music because of that alone seems like you’re simply missing out on an opportunity to enjoy a really good jam. It’s about time we stop policing and berating people for the things they enjoy and don’t like and acknowledge that people can also be interested in more than one thing at the same time.